The long-time celebration and enjoyment with the different colour media display, spend and win bonanza brand fashion and traditional shows, and gift-giving and present will sign the 10th anniversary of the Dubai Mall coming month. November 4 to 28, the music and light show highlight with “Talisman” will play at night in the mall during the shopping hours and stands to win three luxury apartments from the construction company Emaar Properties, that will be proclaimed on the three Fridays during the celebrations. There will also be daily prizes of Dh 10,000 in gifts cards. Bollywood dancers will perform live under the platform of 40 fashion brands. To signed the UAE Flag Day, a 180-meter long flag will be placed for showing near the Grand Atrium and a photo titled the show “people on the move” will be held on 20 November. 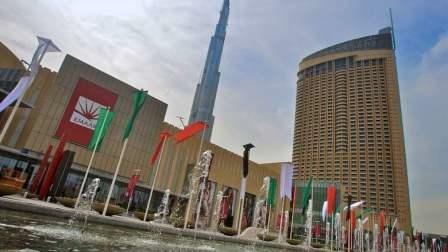 Furthermore, in the prize giving spirit, The Dubai Mall will plan to launch a “Wishing Tower” to make the wishes of customers through social media for a chance to have come true. Also, it will surprise people by the random acts of kindness, with paid-for-meals. Patrick Bousquet-Chavanne, CEO of Emaar Malls, stated: "We are very excited to celebrate our 10-year milestone. Aside from the amazing events, the mission of The Dubai Mall is basically a part of a lively downtown where social communities come together, whether it's about arts, culture, food or fashion." During this, The Dubai Mall also be at least 5,000 parking places coming year to provide to its developing number of visitors.